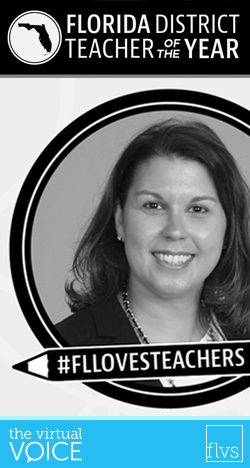 Two weeks ago, I attended the Macy’s Florida Teacher of the Year Roundtable and Gala. I spent the week meeting and collaborating with fellow district teachers of the year past and present. I also met Florida Commissioner of Education Pamela Stewart and Chancellor Hershel Lyons. Thanks to the amazing sponsors for this event, I felt celebrated and appreciated all week receiving gifts and surprises every day. The gala was held on Thursday at the Hard Rock Live in Orlando where Governor Rick Scott and First Lady Ann Scott made a special appearance. This event was like being in a Miss America pageant complete with glitz and glam! I walked the red carpet, had my picture taken, and was hustled backstage. Before I knew it, the spotlights were circling and the curtain rose to reveal 73 district teachers standing on stage. Through the bright lights, I found my family and FLVS guests. The evening continued to highlight the top five nominees before announcing the 2018 Macy’s Florida Teacher of the Year. Confetti and sparkles rained down as everyone celebrated and cheered. It was a very special night during a week I will always remember! 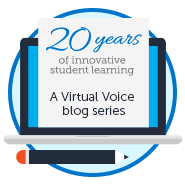 This entry was posted in Educator Edition and tagged Educational Leadership, Events, FLVS Teachers, Online Teaching, Teacher of the Year, Thought Leadership on July 27, 2017 by Lisa Ullmann. What an exciting way to honor your impact to students! 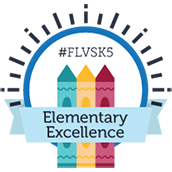 Thanks for representing FLVS!